The series finale of Catastrophe finds Rob and Sharon hopeful, as a new chapter in their lives opens. What We Do In the Shadows builds on what made the film so hilarious, and adds some elements that solidify its ability to make the audience laugh. 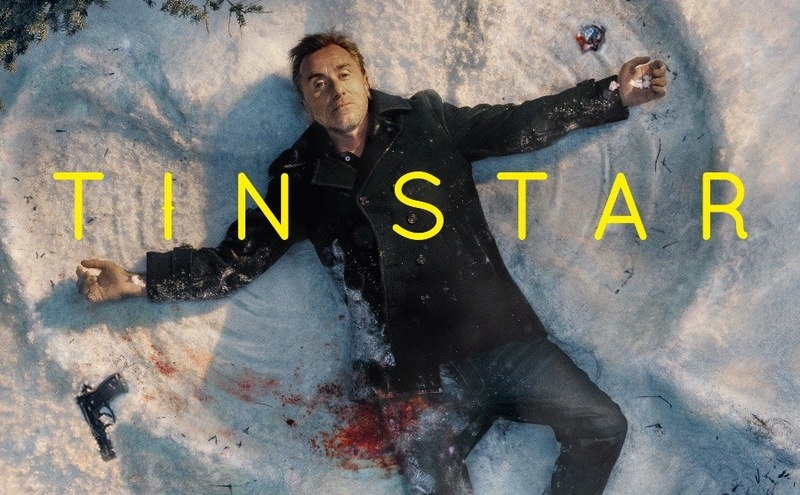 The second season of Tin Star amps into a violent, campy, soap opera. Season 2, Episodes 1-13 – The second season of Jessica Jones is perfectly adequate. The story is fine. The character development is fine. It’s aesthetically gorgeous. But it lacks the depth and relevance of the first season in a few crucial ways that leave this feeling pretty basic rather than transformative. Season 2, Episode 1 – Lucy, Wyatt, and Rufus are back on Timeless attempting to stop Rittenhouse from creating a tyrannical world that only benefits its members. Season 2, Episodes 1-10 – Created by Jason Katims and inspired by the book Drama High by Michael Sokolove, Rise is about an English teacher who feels unfilled with his current position and decides to lead the drama program. Season 1, Episodes 1-10 – Giovanni Ribisi is back as Marius Josipovic, the con artist with a heart of gold. Still masquerading as his old cell mate Pete Murphy, Marius suddenly finds himself on the hook to Serbian gangsters for 11 million dollars, and he needs all his old friends to keep himself and his new family alive. Season 1, Episodes 1-3 – With most comedies, the pilot is rough and they spend their first season working out the kinks, but that’s not the case in Mindy Kaling’s new series. Season 1, Episodes 1-5 – Crackle’s new series highlights a corrupt gang world within the police force. What should be something we’ve seen many times before ultimately flips the script but fails to dive deep into the interesting ensemble. Season 3, Episodes 1-4 – In its most captivating installment yet, Hap and Leonard displays a newfound focus and maturity, alongside invigorating new cast members. Season 1, Episodes 1-6 – Hard Sun focuses on the trouble detectives Hicks and Renko uncover when they stumble on some top secret intelligence MI-5 would kill to supress. Season 2, Episode 17 – The Lethal Weapon boys investigate a murder connected to Trish while Murtaugh waits for his apology and Riggs calls on his oldest friend. Season 2, Episode 17 – This Is Us tackles the human experience in this week’s Deja-centric episode. Season 1, Episode 16 – Kevin thinks he may have found the next righteous one when he helps a stranger with their uncle’s burial wishes. Season 1, Episode 2 – With both investigations heating up, the officers find that getting people to cooperate on the cases is much harder than expected. Season 3, Episode 10 – Vera and Eddie discover their shared past on The Path, while Sarah attempts to get Eddie to meet with Lilith to learn the origins of Meyerism. Season 4, Episode 15 – In the season’s best episode thus far, Team Flash must prevent a nuclear bomb from destroying Central City using Barry’s new abilities. Season 1, Episode 7 – On this week’s Black Lightning, Tobias tries to frame Jefferson for Lady Eve’s death. In the wake of discovering Anissa has powers, Jeff and Lynn figure out what to do next. Season 2, Episode 16 – Micky and Jimmy shoot for the misguided parents of the year award when Ben has an emergency at a sleepover. Meanwhile, Chip tries to win over his own prize, the respect of Sabrina. Season 3, Episode 2 – UnReal picks back up again with an energizing, high-drama episode that feels like the season is finally getting started. Season 1, Episode 2 – The show swings and misses with a second episode that is too cartoony and makes things too easy for our protagonist. Season 3, Episode 16 – Lucifer explores loyalty and betrayal when he reunites Cain and Abel to stick it to his dad while Maze and Amenadiel slug out their frustrations. Season 1, Episode 7 – Sara makes a big discovery in the case. Kreizler and Moore reject a helping hand by J.P. Morgan. Season 3, Episode 13 – Damien Darhk does NOT look good in a long blonde wig. Not at all. Season 8, Episode 10 – A storm of death touches every camp when The Walking Dead spreads loss across several characters while Simon fires up an unauthorized power trip. Season 1, Episode 4 – Four episodes in and Here and Now still struggles to make a good case for why viewers should invest their time in this series. Season 2, Episodes 1-3 – The Good Fight is back for Season Two, and it’s not pulling any political punches. Season 5, Episode 11 – Agents of SHIELD returns with a catalog of all of their past greatness plugged into the series’ perfect blend of exposition, humor, and action. Season 2, Episode 16 – Bozer’s and Matty’s secrets are revealed in this slightly anticlimactic episode. Season 4, Episode 11 – Jane is mirroring her mother – neither knows what to do with their lives after their dreams are fulfilled. And who can blame them? This happens to us all.